Family ministry focuses on the children of the church and their families. Because All Saints' has a number of multi-generational families, there is a conscious effort to plan intergenerational events and activities that the entire family can enjoy. Family Ministry also includes the Ke Akua Youth Group (see below) that plays a large role in both church activities and community outreach, providing pastoral services to members, running large community events, and taking part in mission service. 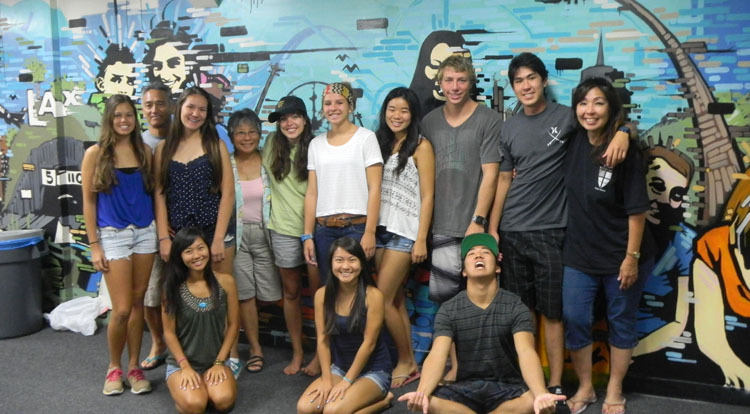 The Ke Akua Youth Group of All Saints' Church is open to all youth in the 6th grade through high school. The group is involved in a number of community outreach activities and has been an avid supporter of the Kaua'i Humane Society for a number of years, and have shifted their focus to serving the homeless in the past couple of years. They lead many of the community outreach programs funded by various grants, including free movie nights on the lawn, Friday Night Sports Nights, the island-wide Fun In Fellowship Dodgeball Tournament, and help at the Kapa'a Interfaith Thanksgiving Luncheon which serves over 500 free Thanksgiving meals to the community. They also run several church activities and services, including Stations of the Cross during Holy Week, the annual Easter Festival, and the All Saints' Holiday Craft Fair, and offer pastoral services to member who are unable to do routine chores around their homes like washing their car or windows, cleaning the yard, etc. Despite a jam-packed schedule of service, they find time to fellowship at retreats, camps and outings to the beach, mini-golf, movies and more. Sharing the love of God with the community by keeping the faith, extending a helping hand and protecting all of God's creations. The Ke Akua Youth Group logo was designed by former member Jarin Quibilan, who is now attending college, with plans to major in art. For more information, call the church office at 808-822-4267. 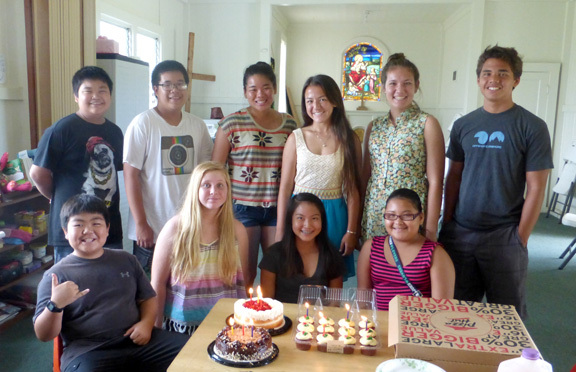 High school members of All Saints' Ke Akua Youth Group were a part of the Hawai'i delegation that attended the Episcopal Church's largest youth event in July 2014. Over 1,100 Epsicopal youth and adult leaders from around the world attended the triennial Episcopal Youth Event (EYE) that took place at Villanova University in Philadelphia, PA, followed by 3 days of urban mission. To read about this amazing event along with a slideshow and youth reflections, visit the Diocesan webpage HERE. Our very own Casey Nakamura was on the Design (planning) team and includes a report from her.